Recent Arrival! 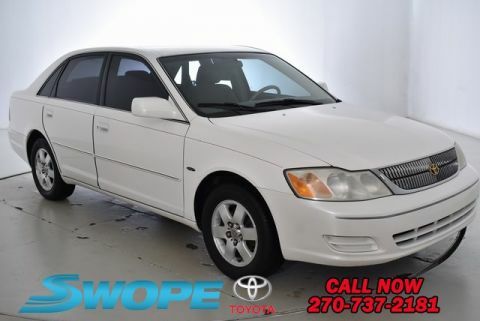 This 2002 Toyota Avalon in White is a great choice and features: !! !2YR/24,000 COMPLIMENTARY MAINTENANCE PLAN INCLUDED!! !, 4-Speed Automatic. 21/29 City/Highway MPG Proudly serving Elizabethtown and all of Kentucky for over 60 years! Call 270-737-2181 or (800) 999-7591 to schedule a test drive today. All prices plus tax, title, lic, and dealer processing fee. 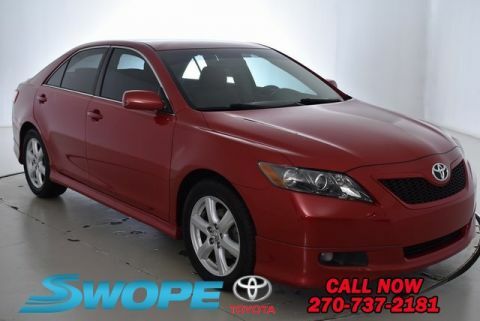 This 2007 Toyota Camry in Red is a great choice and features: Dark Charcoal Cloth, ABS brakes, Alloy wheels, Illuminated entry, Low tire pressure warning, Remote keyless entry. 24/33 City/Highway MPG Proudly serving Elizabethtown and all of Kentucky for over 60 years! Call 270-737-2181 or (800) 999-7591 to schedule a test drive today. All prices plus tax, title, lic, and dealer processing fee. Clean CARFAX. CARFAX One-Owner. 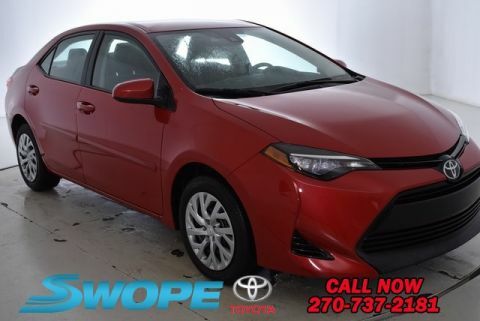 This 2017 Toyota Corolla in Red is a great choice and features: BLUETOOTH, **STEERING WHEEL MOUNTED AUDIO CONTROLS**, !! !2YR/24,000 COMPLIMENTARY MAINTENANCE PLAN INCLUDED!! !, Body Protection Package, Body Side Moldings (TMS), Carpet Mat Package (TMS), Door Sill Protectors, Rear Bumper Protector (TMS). Odometer is 8888 miles below market average! 28/36 City/Highway MPG Awards: * 2017 KBB.com 5-Year Cost to Own Awards * 2017 KBB.com 10 Best Sedans Under $25,000 * 2017 KBB.com Best Resale Value Awards * 2017 KBB.com 10 Most Awarded Brands Proudly serving Elizabethtown and all of Kentucky for over 60 years! Call 270-737-2181 or (800) 999-7591 to schedule a test drive today. All prices plus tax, title, lic, and dealer processing fee. Clean CARFAX. CARFAX One-Owner. 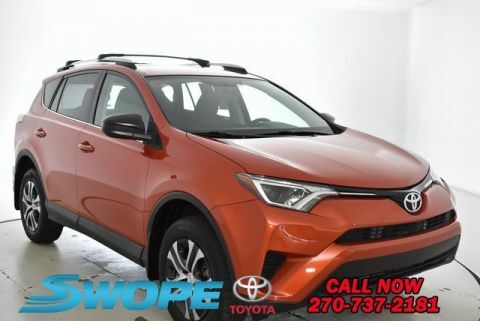 This 2016 Toyota RAV4 in Hot Lava is a great choice and features: !! !2YR/24,000 COMPLIMENTARY MAINTENANCE PLAN INCLUDED!! !, AWD, Black w/Fabric Seat Trim. 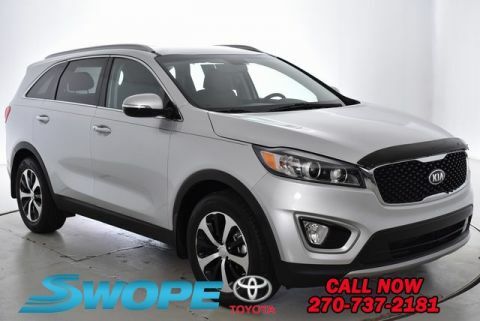 22/29 City/Highway MPG Awards: * 2016 IIHS Top Safety Pick+ * 2016 KBB.com 10 Best SUVs Under $25,000 Proudly serving Elizabethtown and all of Kentucky for over 60 years! Call 270-737-2181 or (800) 999-7591 to schedule a test drive today. All prices plus tax, title, lic, and dealer processing fee. Clean CARFAX. CARFAX One-Owner. 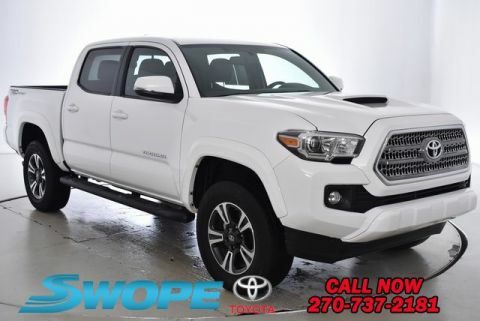 This 2017 Toyota Tacoma in Super White is a great choice and features: REAR BACK UP CAMERA, NAVIGATION/GPS/NAV, BLUETOOTH, **STEERING WHEEL MOUNTED AUDIO CONTROLS**, !! !2YR/24,000 COMPLIMENTARY MAINTENANCE PLAN INCLUDED!! !, Exterior Parking Camera Rear, LED Daytime Running Lamps, Navigation System. Odometer is 13819 miles below market average! Awards: * 2017 KBB.com Best Resale Value Awards * 2017 KBB.com 10 Most Awarded Brands Proudly serving Elizabethtown and all of Kentucky for over 60 years! Call 270-737-2181 or (800) 999-7591 to schedule a test drive today. All prices plus tax, title, lic, and dealer processing fee. Clean CARFAX. 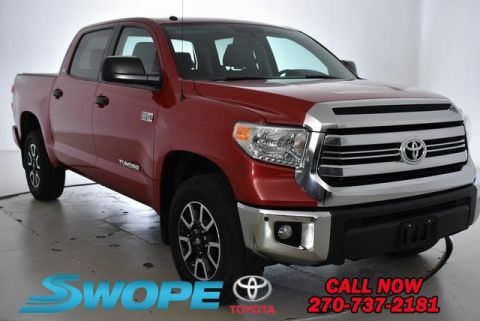 This 2016 Toyota Tundra in Red is a great choice and features: REAR BACK UP CAMERA, BLUETOOTH, **CLEAN CARFAX**, **STEERING WHEEL MOUNTED AUDIO CONTROLS**, !! !2YR/24,000 COMPLIMENTARY MAINTENANCE PLAN INCLUDED!! !, 4WD, Graphite w/Fabric Seat Trim or Heavy Duty Vinyl Seat Trim, Exterior Parking Camera Rear. Odometer is 23591 miles below market average! Proudly serving Elizabethtown and all of Kentucky for over 60 years! Call 270-737-2181 or (800) 999-7591 to schedule a test drive today. All prices plus tax, title, lic, and dealer processing fee. Clean CARFAX. 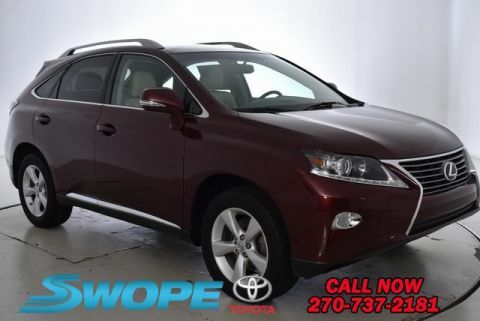 This 2014 Lexus RX in Burgundy is a great choice and features: REAR BACK UP CAMERA, NAVIGATION/GPS/NAV, BLUETOOTH, **STEERING WHEEL MOUNTED AUDIO CONTROLS**, !! !2YR/24,000 COMPLIMENTARY MAINTENANCE PLAN INCLUDED!! !, Saddle Tan w/Leather Seat Trim, Turn signal indicator mirrors. Awards: * JD Power Vehicle Dependability Study * 2014 KBB.com 5-Year Cost to Own Awards * 2014 KBB.com Brand Image Awards * 2014 KBB.com Best Resale Value Awards Proudly serving Elizabethtown and all of Kentucky for over 60 years! Call 270-737-2181 or (800) 999-7591 to schedule a test drive today. All prices plus tax, title, lic, and dealer processing fee. 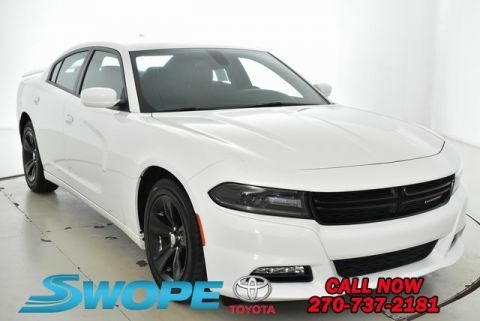 This 2016 Dodge Charger in Bright White Clearcoat is a great choice and features: BLUETOOTH, **STEERING WHEEL MOUNTED AUDIO CONTROLS**, !! !2YR/24,000 COMPLIMENTARY MAINTENANCE PLAN INCLUDED!! !, black Cloth, Steering wheel mounted audio controls. Odometer is 16123 miles below market average! 19/31 City/Highway MPG Awards: * ALG Residual Value Awards Proudly serving Elizabethtown and all of Kentucky for over 60 years! Call 270-737-2181 or (800) 999-7591 to schedule a test drive today. All prices plus tax, title, lic, and dealer processing fee. EX with Premium Package.Hands free power lift gate - Local trade,One-Owner serviced local. 110V Power Inverter, Alloy wheels, Auto Up/Down Passenger Window, Blind Spot Detection System, Chrome Roof Rails, EX Premium Package, Exterior Parking Camera Rear, Hands-Free Power Liftgate, Heated Front Bucket Seats, Heated front seats, Leather Seat Trim, LED Interior Lighting, Power driver seat, Power Folding Outside Mirrors, Premium TFT Supevision Meter Cluster, Radio: AM/FM/SiriusXM, Rear Cross Traffic Alert, Rear Parking Sensors, Remote keyless entry, Sun blinds. Odometer is 15898 miles below market average! 20/27 City/Highway MPG Awards: * JD Power Initial Quality Study (IQS) * 2017 KBB.com 10 Most Awarded Brands Proudly serving Elizabethtown and all of Kentucky for over 60 years! Call 270-737-2181 or (800) 999-7591 to schedule a test drive today. All prices plus tax, title, lic, and dealer processing fee. Clean CARFAX. CARFAX One-Owner. 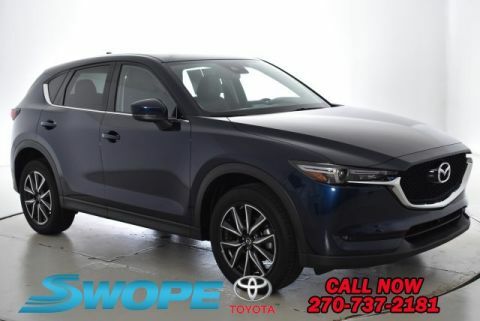 This 2017 Mazda CX-5 in Crystal Blue is a great choice and features: SUNROOF/MOONROOF, NAVIGATION/GPS/NAV, LEATHER HEATED SEATS, **STEERING WHEEL MOUNTED AUDIO CONTROLS**, !! !2YR/24,000 COMPLIMENTARY MAINTENANCE PLAN INCLUDED!! !, Blind spot sensor: Blind Spot Monitoring warning, Brake assist, Exterior Parking Camera Rear, Four wheel independent suspension, Heated door mirrors, Navigation System. Odometer is 2132 miles below market average! 24/31 City/Highway MPG Awards: * 2017 KBB.com Brand Image Awards Proudly serving Elizabethtown and all of Kentucky for over 60 years! Call 270-737-2181 or (800) 999-7591 to schedule a test drive today. All prices plus tax, title, lic, and dealer processing fee.